At Ford Motor Co., managers were struggling to work out a schedule for the growing number of people in a three-year program for new hires fresh out of college. They were caught in a quagmire of employee requests, the need for rotational assignments and a growing number of participants and jobs. Even with a group of people working on the schedule, the project was taking too much time and effort -- and getting worse. For Ford, the answer came from a new hire in the very program that needed fixing: artificial intelligence. While many people think of artificial intelligence, or AI, as something out of a sci-fi movie that has robots waging war on people, AI can be the answer for complex and weighty problems like scheduling. "It was [a problem] that was taking away time from people who didn't have time," said Leonard Kinnaird-Heether, an AI researcher at Ford who built the program. "There was a way to solve this. AI was a good idea for this because this problem represents a core function that AI can take care of.... We developed a tool to automate it so we can give that time back." Stephen Smith, a research professor focused on Ai at Carnegie Mellon University, said this kind of scheduling issue is a classic problem for AI to handle, and Ford was smart to use it. "We need to rethink AI," he said. "It can be a powerful amplifier of human decision making without taking over the decision making.... It's a time saver.... In the area of planning and scheduling, that's one of the advantages that the AI model brings -- this flexibility, this tool that you can adapt to solve different problems pretty quickly." Leonard Kinnaird-Heether, an artificial intelligence researcher at Ford, developed an AI program that handles what had become a grueling scheduling problem for the auto maker. In the 1960s, the automaker created what is known as the Ford College Graduate Program to help recent college grads acclimate to the corporate environment at Ford. Most organizations inside the company -- like IT -- have their own implementation of the program. Here's how it works: If the company hires someone freshly out of college, they need to work rotational job assignments. He or she gets three different jobs in the first three years at Ford. "Ford has all these other opportunities in IT that we can do and in college you don't really think about it," said Kinnaird-Heether. "It gives you business acumen and helps you understand what positions are at the company and you have a better idea of what you want to do with the company." As more people joined, it became increasingly difficult for managers to fit workers into the right jobs, taking into account seniority and participants' own assignment preferences. Simply put, it became a logistical nightmare. To help, in the mid-2000s, Ford began using an automated tool from Frontline Systems Inc. The tool works with Microsoft Excel to help solve simple equations in the spreadsheet. That was enough when the Ford College Graduate Program was small, but the company soon outgrew its abilities. The Excel tool could deal with about 8,000 unknowns - program participants, jobs and preferences. By about 2011, Ford's program had about 10,000 unknowns. Then in 2011, Ford hired Kinnaird-Heether and he entered its College Graduate Program for the IT department. As a member of the program trying to get the job assignments he wanted, Kinnaird-Heether noticed the problem and -- with a masters degree in computer science, specializing in AI -- he explained how he could solve their scheduling issue with artificial intelligence. Writing about 10,000 lines of code and spending about 20 hours programming, he built an AI tool for his new employer. Kinnaird-Heether explained it wasn't a tough programming challenge. He used the Kuhn-Munkres algorithm, which also is known as the Hungarian algorithm; it's designed to solve assignment problems. "The algorithm considers different potential assignments," he explained. "We take [a workers' job assignment] position rankings, and then apply seniority and then use the algorithm to maximize the potential assignments." 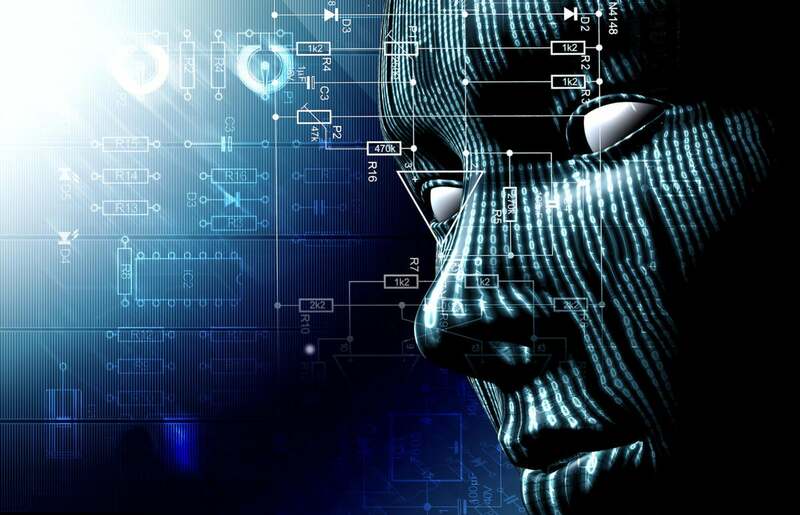 AI has been around for decades and companies are looking at it as something more than a tool for robotics or a sci-fi plot line, according to Jeff Kagan, an independent technology analyst. "AI is very helpful because it lets us easily do things that were very difficult, if not impossible, before," he said. "One example of success with AI is with scheduling at companies. This has traditionally been a very difficult task. However, the ability for computers to quickly sort through mountains of information and think about the best way to create order, is perfect for this task." The artificial intelligence software not only worked for the Ford College Graduate Program -- it's now in its fourth year of use -- the company now uses it in four different programs, including scheduling assignments for the IT intern group. "I've tried to find other things I can solve with it," said Kinnaird-Heether. "The way we designed it, I wanted it to be flexible enough to stand the test of time. I tried to make it as modular as possible, [so] if it needed to be replaced, it wouldn't affect any of the processes it was associated with. But I also tried to build it so it doesn't need to be replaced in the near future. It's not an easy task to do and I try not to make more work." While Kinnaird-Heether said the programming itself wasn't trivial, the most challenging part was convincing people that using AI wouldn't be a problem. "My biggest concern wasn't that the program would be sound. It was more about getting people to accept it," he said. "It's new technology. It was a change in the way we had done things before. I was a new employee and I was taking something established and changing it." The task involved getting people to understand that AI would make the program work better and to assure people that there would still ultimately be human oversight. "After I used my best public speaking abilities and told them about the problem and presented them with the why, I presented them with the solution," said Kinnaird-Heether. "There were questions about how it would work. I tried to show people that it wasn't going to change anything and we were going to keep this as egalitarian as possible." He noted that there wasn't much expense to creating the AI program - just his 20 hours of time. To offset that, Ford didn't have to pay to upgrade its automated Excel spreadsheet program, which was traded in for the AI software. And on the plus side, Ford now is able to use it for other initiatives. Oren Etzioni, CEO of the Allen Institute for Artificial Intelligence, said companies are smart to start small with AI, see the benefits and then go from there. "There's a huge issue with workflow," he added. "It is important to start small and work out the bugs and see the way AI systems integrate into the enterprise workflow." Kinnaird-Heether said he hopes the AI program makes other people in the company think about using artificial intelligence. "I want to create a stand-alone application that people can use for problems they have," he added. "I think people are hopeful for the promise of what [AI] can be in the future.... I'll be in a meeting and someone will say I have this problem and I'll say, 'Hey, I can solve that.' "